(picture book, coauthored by Corinne Demas, illustrated by Ellen Shi), Persnickety Press, Spring 2018. 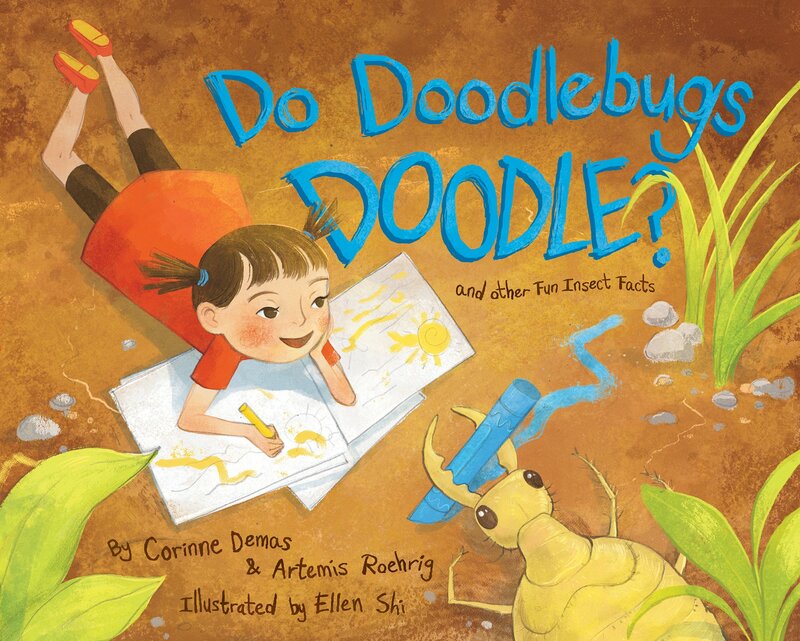 (picture book, co-author Corinne Demas, illustrated by David Catrow), Scholastic, 2016. (picture book, co-author Corinne Demas, paintings by John Sandford), Persnickety Press, 2016. Does A Fiddler Crab Fiddle? No! But fiddler crabs sure do some amazing things! Starting with silly questions like the title, and moving on through increasingly-unlikely questions such as “do fiddler crabs ride a skateboard?,” and “do fiddler crabs eat pizza?,” children discover what fiddler crabs do. They don’t need a skateboard – they can move sideways so shore birds can’t catch them. They may not enjoy pizza, but they gobble up saltmarsh muck. Using this question-and-answer format engages children immediately, and discovering just what fiddler crabs actually do satisfies their curiosity. This is the best kind of nonfiction – engaging, fun, and filled with the kinds of details that kids love. Does A Fiddler Crab Fiddle? will have everyone claw clapping loudly for fiddler crabs! With it’s author’s note providing more information, Does A Fiddler Crab Fiddle? is an outstanding nonfiction picture book for children ages 4-8. Educational Guide for Does A Fiddler Crab Fiddle? (picture book, coauthored by Corinne Demas, illustrated by Ashlyn Anstee), Scholastic. (nonfiction picture book, coauthored by Corinne Demas, illustrated by Ellen Shi), Persnickity Press/Cornell Lab Publishing Group. Request them at your local library! and Does A Fiddler Crab Fiddle? Wednesday July 25th 3:30 pm. Thursday July 26th at 10:30 a.m.
Book signing Does A Fiddler Crab Fiddle?